After returning to steam in May of 2015, Norfolk & Western J-class 4-8-4 #611 pulled a number of public excursions in Virginia during the month of June. On July 1st, she returned to Roanoke, VA for her final trips of the 2015 season. 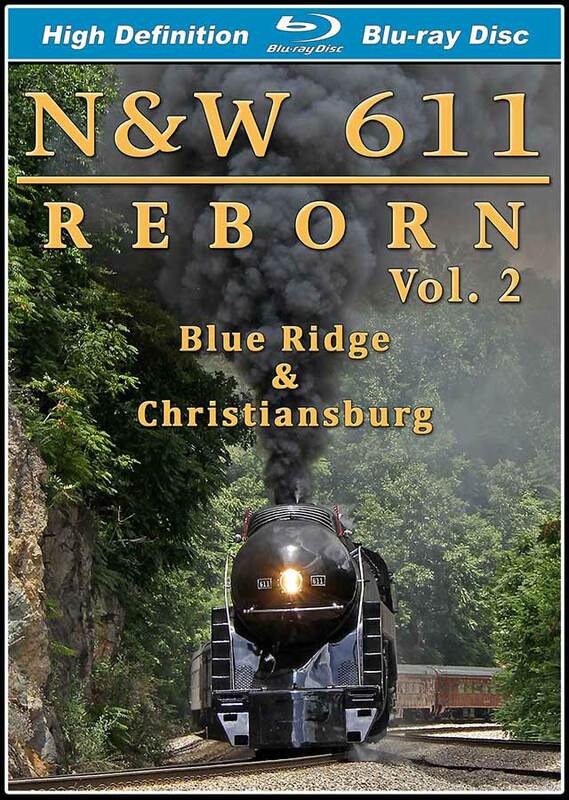 Over the 4th of July holiday weekend, #611 pulled three days of highly anticipated excursions over two of the most famous grades on the N&W mainline: Blue Ridge and Christiansburg Mountain. 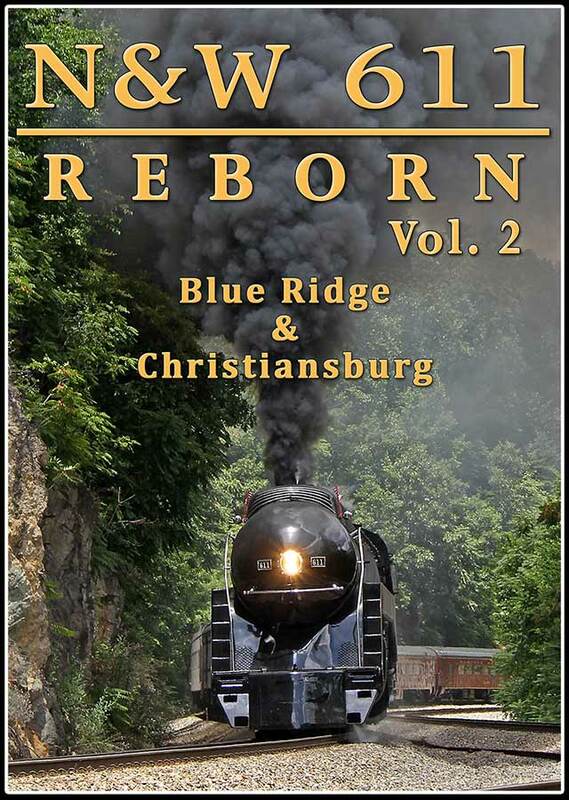 This program chronicles all 3 days of excursions out of Roanoke on July 3rd, 4th, and 5th. Each morning you'll see #611 head east to Lynchburg over the Blue Ridge grade. After returning to Roanoke, #611 would pull another half-day trip in the afternoon, heading west to Walton via the legendary Christiansburg Mountain grade. Pulling a 21-car train on former N&W rails, #611 looked and sounded fantastic all weekend long. In addition to the Blue Ridge and Christiansburg excursions, this program covers the July 1st ferry move from Spencer, NC to Roanoke, VA. On this trip, #611 pulled a short revenue freight, taking the ex-Virginian line at Altavista instead of the longer routing via Lynchburg and the N&W. Running without diesel assistance at all times, #611 put on a spectacular show of mainline steam railroading, while introducing a whole new generation to Roanoke's finest: the legendary streamlined J-class. Filmed entirely in HD, this program features incredible stack talk as #611 demonstrates why she's the world's most powerful 4-8-4. With her thunderous bark and deep mournful whistle, #611 provides a brief glimpse of what the golden age of steam was like on the Norfolk & Western. This program has minimal narration (with the option to turn it on or off) and no distracting music.